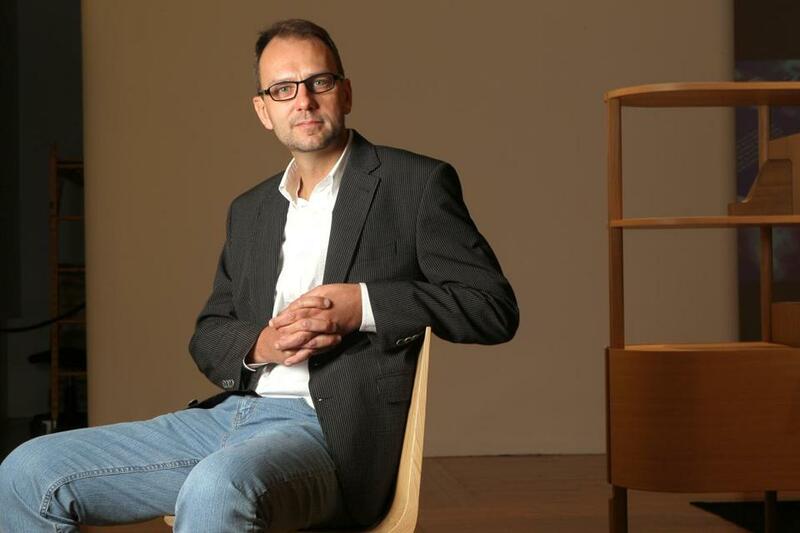 In conjunction with the Excellent Swiss Design exhibition and events taking place in Boston, the The Boston Globe Magazine featured an interview with Andreas Rufer, our project leader Art and Culture and deputy consul. Andreas Rufer, deputy consul at swissnex Boston, thinks designers from his country and ours have a lot to learn from one another. Swissnex Boston is a diverse team of eight relentless networkers devoted to connecting Switzerland and North America in science, education, art, and innovation. We opened our doors in Cambridge in September 2000. It was the world’s first swissnex. Greater Boston has been a cluster for research and innovation for decades, so we are located in the heart of the innovation area, between Harvard University and MIT. Every year we have 20 Swiss startups getting trained in colleges here on how Americans do business. We work closely with Babson College focusing on entrepreneurship. I am a career diplomat and have been working in Swiss embassies all over the world, but mostly in consular affairs and operations. Swissnex has been the most interesting, diverse, and challenging position in my career. Besides water, Switzerland has almost no natural resources, so we have to focus on human brainpower and know-how to be economically competitive. Precision, quality, and functionality are key words for our products. Switzerland is also famous for its cutting-edge architects and designers. For instance, did you know that the only Le Corbusier building in the US is the Carpenter Center for the Visual Arts at Harvard University, which is right next to swissnex? He taught at Harvard. The “Excellent Swiss Design” exhibit at MassArt is the product of a biennial competition. I immediately saw the added value for the Swiss design industry if we were to showcase all the innovative and really cool projects in the USA. I argue that a Swiss designer would think about whether or not his product would be necessary and useful before making it. However, I guess the American culture is much faster, taking the approach of “let’s do it” and we’ll see if the product can be sold. If not, never mind. We’ll do something else instead.